I am so excited for the Superbowl this weekend and it’s probably not for the reasons you think. Yes, the food is delicious and the commercials are (sometimes) funny but I am most looking forward to football season finally being over. O-V-E-R. So I get BL back on the weekends. Sundays dedicated to hiking, biking, picnics in the park and not sitting on the couch cheering on whatever player BL needs for fantasy that week. Since there’s only one week left, let’s go out with a bang shall we? Enter these spicy buffalo patas bravas. 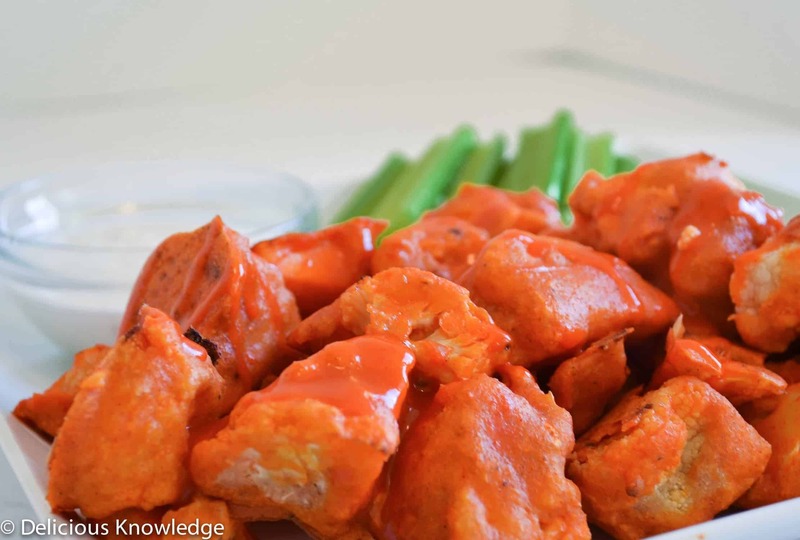 I don’t know what it is about buffalo sauce and Superbowl but they are the perfect combination. I made my cauliflower buffalo wings last year and this year I plan on bringing this dish. 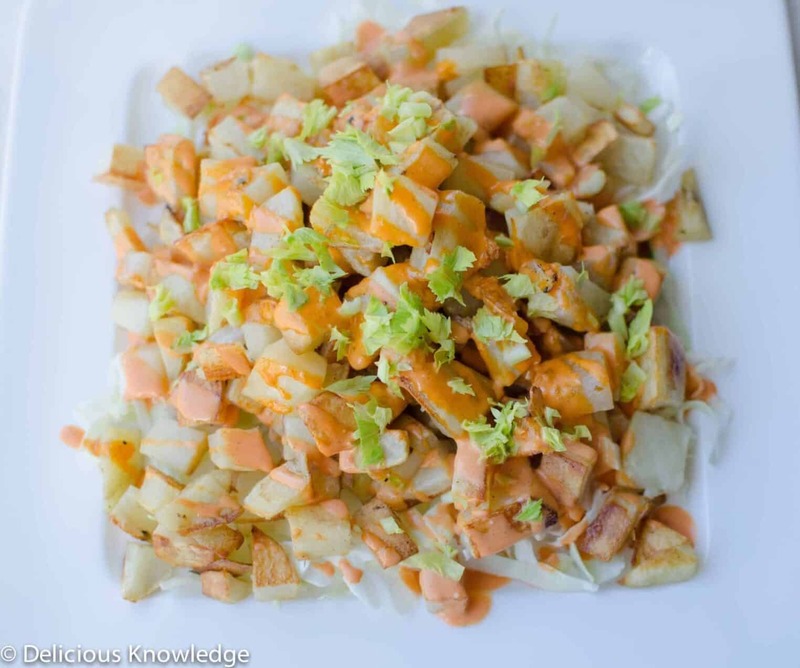 Crispy potatoes topped with creamy buffalo sauce and celery leaves. It’s nachos, stuffed potato skins and buffalo wings all rolled into one. In case you don’t have an obsession with all things buffalo, I’ve also included a roundup of my favorite game-day worthy treats after this recipe. Patas Bravas gone buffalo! Lightly fried potato chunks tossed with a spicy, creamy buffalo sauce. Mix together the vegenaise, hot sauce, grated garlic and smoked paprika. Cover and refrigerate until ready to use. Place the potatoes in a sauce pot with vinegar and enough water to cover. Bring to a boil, reduce to medium and simmer for 5 minutes. Drain and transfer to a paper towel-lined baking sheet to dry. Toss potatoes with 2 tbsp. olive oil and a pinch of salt. Place on dried baking sheets and into the oven. Remove potatoes from oven and season with more salt to taste. They don’t need to be overly salty, the sauce has enough sodium in it but they should be seasoned. Drizzle the sauce on top. Think of a lightly fried egg roll- stuffed with guacamole. 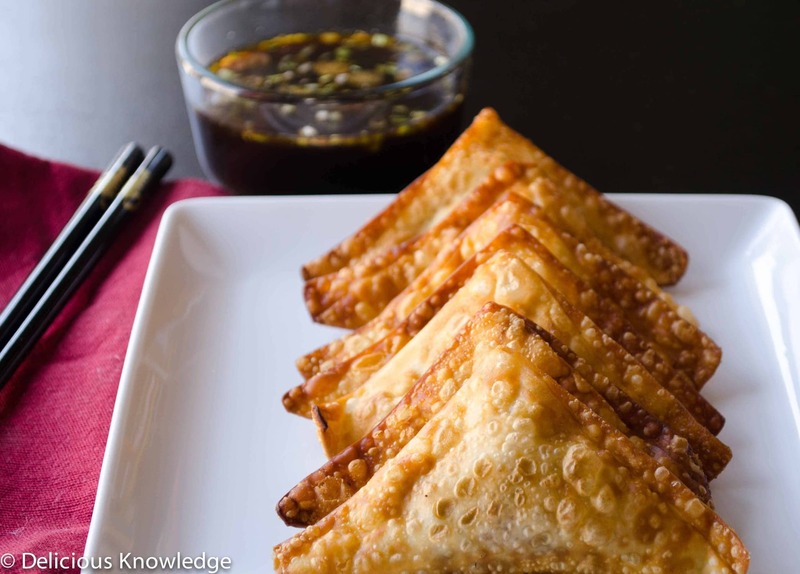 Perfect on their own or dipped into a sweet and spicy sauce. I’ve recently been eating them with salsa and cream and I think they are even better this way. One of my most-pinned recipes from 2013, crispy cauliflower drenched in spicy buffalo sauce. 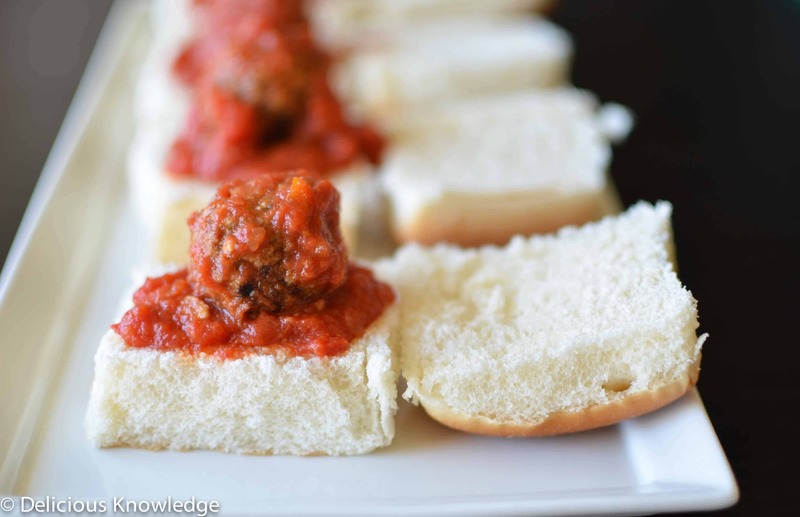 Mushroom based meatballs topped with marinara sauce and served in a soft dinner roll. Make ahead option! 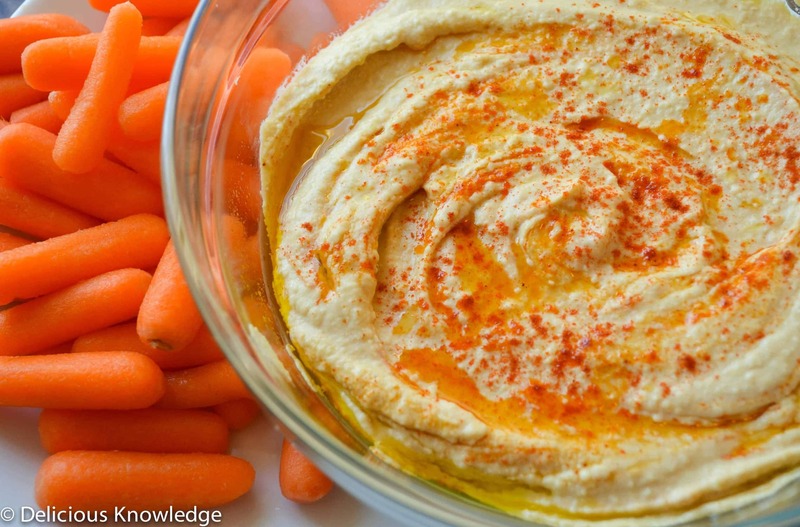 A little more complicated than other appetizer recipes but worth every moment. 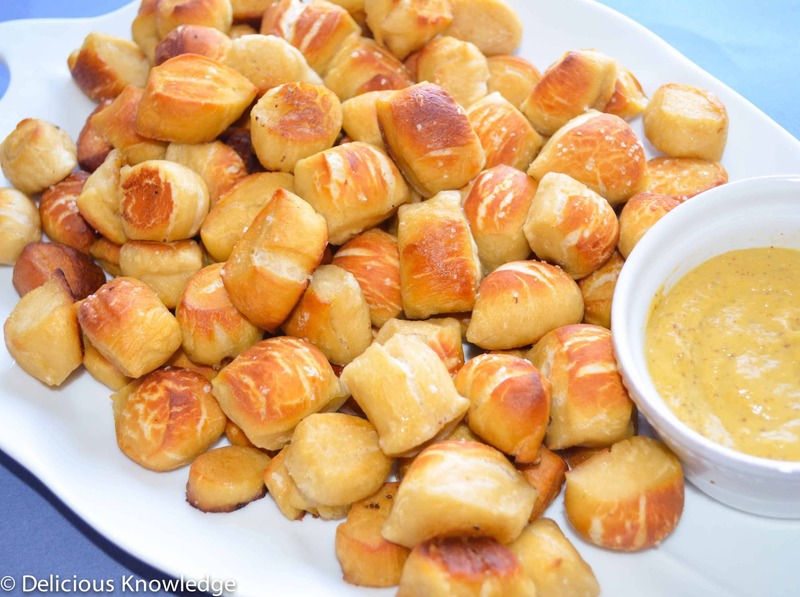 Homemade pretzel dough shaped into bite size pieces. Served with a spicy sweet & sour mustard! 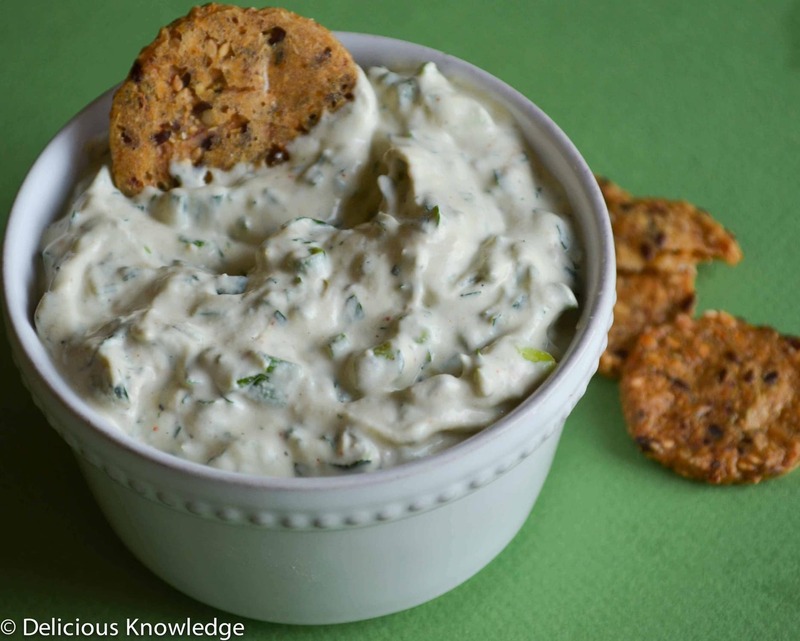 Another favorite dip, I love this with Mary’s Gone Crackers & blanched snap peas. Creamy & dairy free with lots of fresh herbs. Make extra to enjoy after Sunday, it’s delicious on sandwiches instead of mayo! Need more ideas? Check out last years Superbowl Recipe Roundup & 2012’s. Previous Post: « Raising a Healthy Baby: Ready for Solids? And I’m right there with you being ready for football to be over, haha! Yes! One more weekend and it’s over until August 🙂 Let me know how you like these! Thanks for commenting!